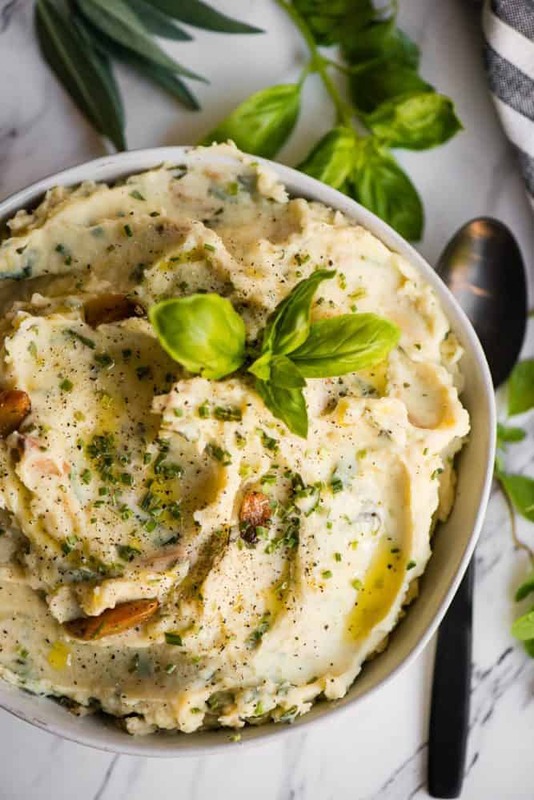 Garlic Herb Mashed Potatoes, made with roasted garlic, fresh herbs, and gold potatoes, are an easy side dish recipe perfect for dinner! Who doesn’t love some really good mashed potatoes? They’re basically the perfect side dish recipe that you can enjoy at dinner time! 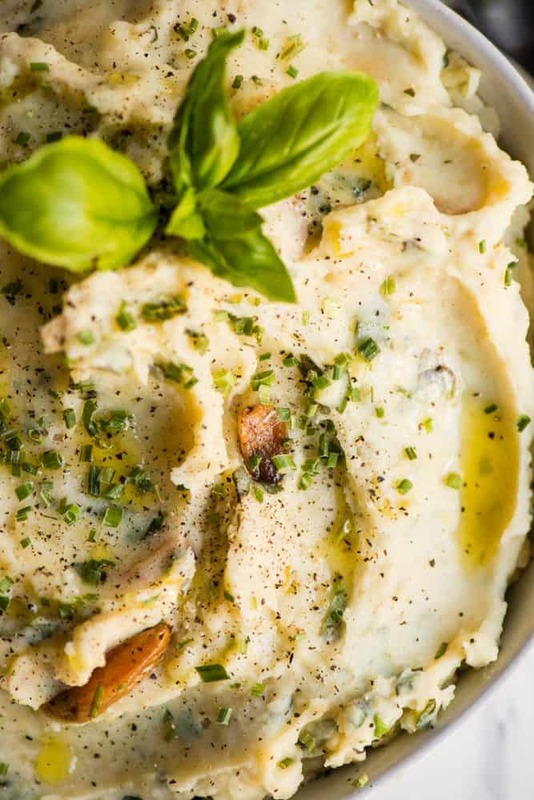 Can you imagine how good these roasted garlic mashed potatoes would taste next to a perfectly cooked prime rib roast? How about along side some homemade chicken parmesan? How about with some Creamy Garlic Pork Marsala. Yeah. I thought you’d agree! Cooking potatoes in the Instant Pot is my preferred method. Not only is it the quickest way to make mashed potatoes, but I find that it makes them super soft and moist. You can also steam them on the stove top if you don’t have a pressure cooker. This recipe is amazing! My husband and kids couldn’t get enough! I used jarred roasted garlic because it was last minute. I imagine it is even better with fresh roasted garlic, but I can’t imagine it any better!